We live in a time where film equipment and editing software are both cheap and fairly obtainable. Anyone with an amazon account and a bit of cash can make a film. It's a blessing and it's a curse; dedicated auteurs can finally put their vision on video and Joe from down the road can film the 700th zombie flick. Sometimes we strike out - sometimes we strike gold. Found is a perfect example of striking gold. It's strange, it's severe, it will haunt your mind like a bad LSD trip. 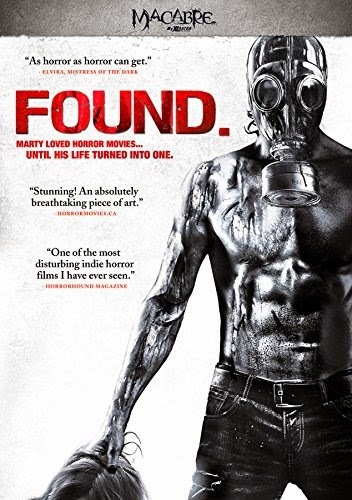 Found is about an oddball 5th grader named Marty (Gavin Brown), he's horror obsessed, creating his very own graphic novel, and his older brother keeps the sawed off heads of minorities in a bowling ball bag. You read that correctly. Marty is dealing with his brother's disturbing vices while also juggling bullies, losing friends, and the typical problems that are associated with being an awkward preteen. Clearly home life isn't too great, with bickering parents and a brother (Steve; Ethan Philbeck) that could snap at anytime. Things get pretty intense when Marty tells a friend about his brother's nocturnal activities. Will his friend snitch? Will Steve find out? Will Marty end up being another severed head calling a bowling bag home? 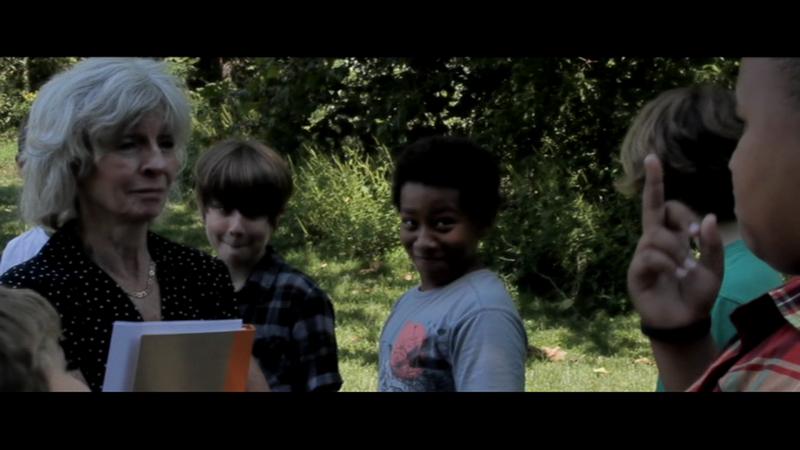 Well, I'm afraid you'll have to watch Found to get an answer for those questions. I finally know what all of the hubbub is about! I really did enjoy Scott Schirmer's Found, all of the positive things you've possibly read about this film are true. While the film does have it's faults, there's a lot of good to be found (see what I did there?) The story is original, to some of us it will be oddly relatable. In many ways it's just a macabre coming of age film, and let's face it; there's not enough of those in the horror-world. I did mention there were a few faults with the film, most of them were budgetary and because of that I choose not to nitpick, I will say that some of the acting was a little wooden but if you can get past that you're golden. This is truly a film I would recommend and I look forward to Schirmer's future endeavors. Headless (24:50) - The film features two "fake" horror films, these two films are available in their full uncut glory as bonus features. The first is Headless which is essentially just a short featuring a deranged killer who has a fetish for decapitation. Remember kids, love will leave you HEADLESS. Deep Dwellers (06:21) - The second movie within the movie is much shorter, Deep Dwellers is about a young couple who decide to spend an afternoon at the lake. Unfortunately for the two this lake is inhabited an underwater creature. Found is a film that will linger with you, I've already found myself itchin' to watch it again. 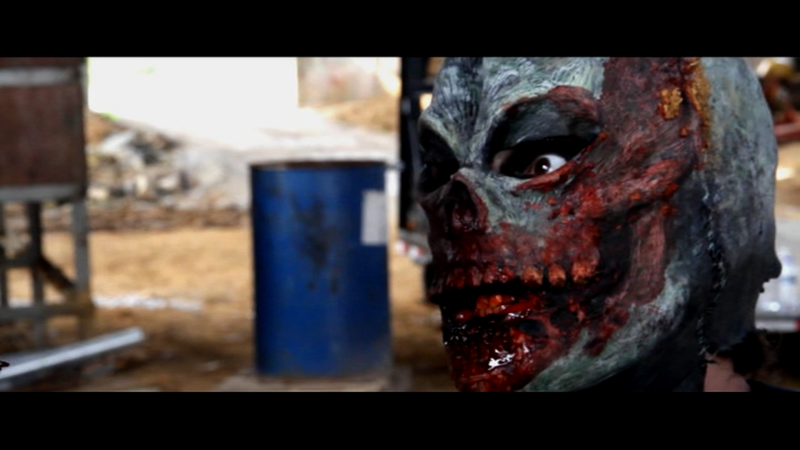 Xlrator presents the film with a very solid release, the commentary, shorts, and trailer are all much appreciated. The DVD can currently be pre-ordered for $12.99 over at amazon, a great price for a film of this quality. 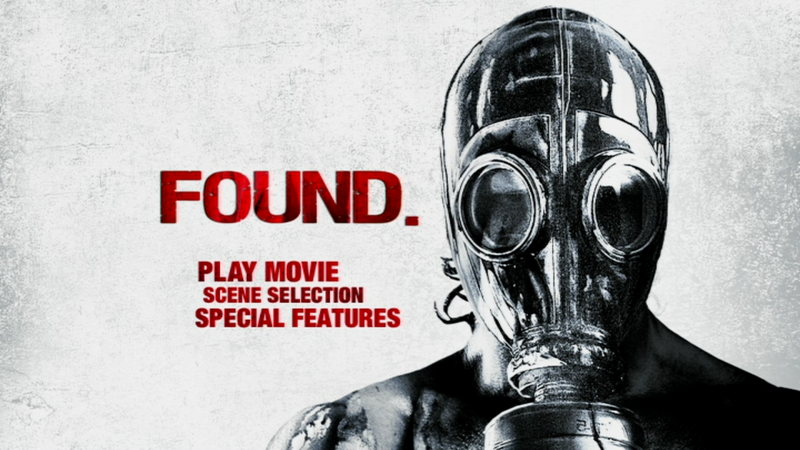 Found gets the highest recommendation I can give, if you're a horror fan it truly is a must see.